Devlin, a women&apos;s quilted, hooded jacket, new to Dubarry&apos;s collection of performance outerwear, delivers outstanding warmth and is machine washable, making it an indispensable women&apos;s winter coat. 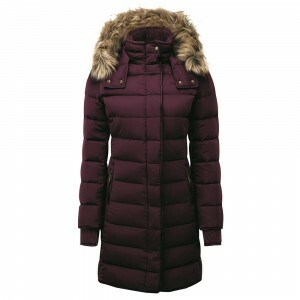 A down filled coat, streamlined, with handy two-way zip fastening and zipped pockets, Devlin will keep you stylishly warm as country wear or, as city chic urban fashion. Just add Dubarry country boots or Chelsea boots. 100% Polyester bonded 2-layer outer shell with 90% Down, 10% Feather fill. Machine washable at 25 degrees.